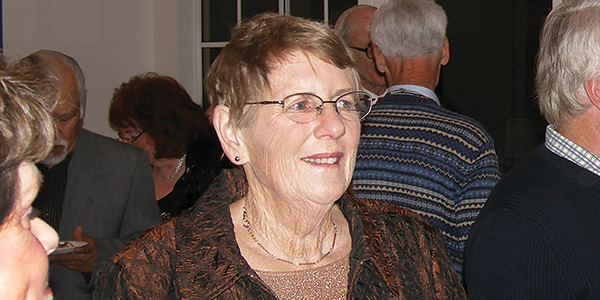 Sue Gemmell was an Emerita Professor of Teacher Education who dedicated more than 40 years of her life supporting the mission of Education at Cal State Dominguez Hills. "She loved this place. It was home to her," says fellow Emerita Professor of Teacher Education Diana Wolff about her longtime friend who passed away in December 2015. Gemmell joined CSUDH in 1974 as associate dean of students. She was named dean of the CSUDH University College in 1977, became vice president for student affairs and professor of graduate education in 1985, and retired from full-time teaching in 1988. Remembered by her peers as a woman who invested in student success, Gemmell kept detailed records, and did not mince words. She also had a dry sense of humor, loved laughing with friends, attended the opera and symphony, and enjoyed learning new things by exploring the world. Longtime friends and Emeritus Mathematics Professor Jackson Henry chuckles as he remembers what Gemmell did when she discovered that her cancer returned: She first said she wanted her friends to throw a party instead of mourning at her funeral. Then she realized that she wanted to be at the party herself! "A Party to Die For," which she titled, drew more than 100 invitees from all aspects of Gemmell's life to her home in Rancho Palos Verdes on Dec. 7, 2015. Before she passed away, she made sure one of her final wishes was in placea $250,000 planned gift to the Faculty Legacy Endowed Fund. The Faculty Legacy Endowed Fund awards mini-grants to current faculty members in support of their research and scholarly activities. It is administered by the Emeritus Faculty Association, of which Gemmell was an active member for many years. Her gift to the associationthe largest donation to date, will generate close to $10,000 each year resulting in more and larger grants to faculty members. By including the university in her estate plans, Gemmell's affinity for CSUDH will continue to be felt by future generations of faculty.